After seeing animals in the wild on safari and gorilla trek, we were excited to meet some up close at the Uganda Wildlife Education Centre where we had a private tour and stayed overnight in one of the guest bandas. The Uganda Wildlife Education Centre (UWEC) opened in 1952 as a zoo and has transformed into a rescue, rehabilitation, and conservation education center. UWEC also focuses on captive breeding of endangered species like the white rhino and gray parrot. 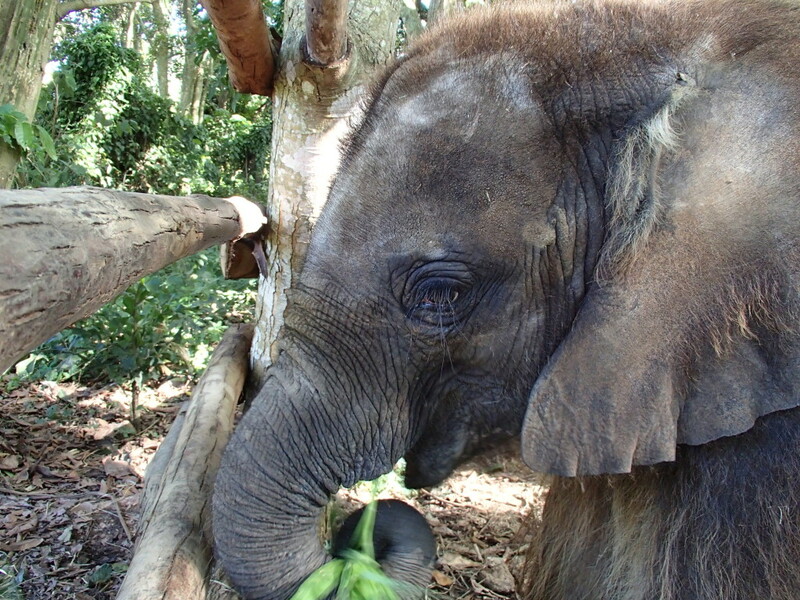 All of the animals that live at the Centre were rescued, confiscated, or born there. There is also a medicinal plant garden with indigenous plants of Uganda. The Centre is in a great location, ten minutes from the Entebbe Airport on the shores of Lake Victoria, so it is really easy to visit, yet only 15 – 20% of the visitors are foreigners. 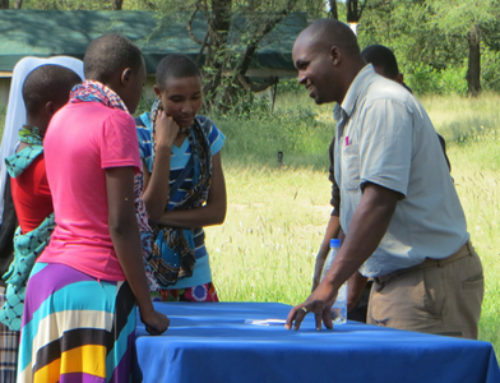 Keeper, Nicholas Muhindo gave us a private tour and introduced us to several of the animals. He has been a Keeper for five years and has a great deal of knowledge about wildlife and the UWEC. 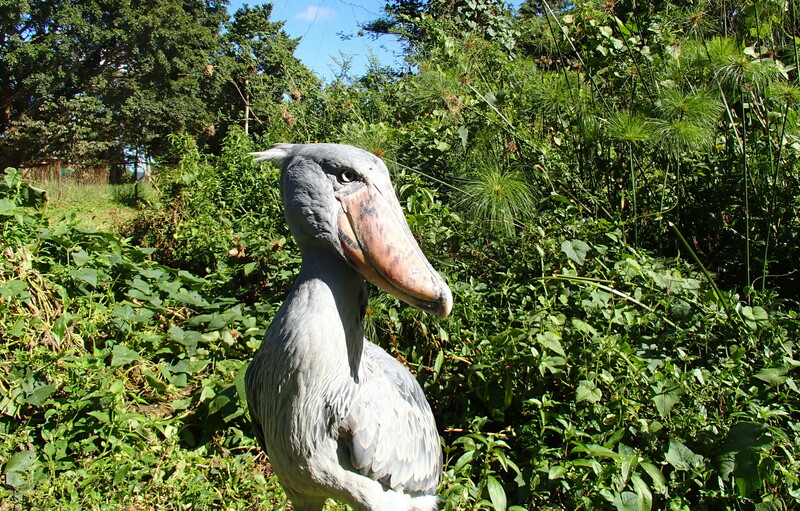 The first animal we met was our favorite – Sushi, the shoebill stork who has lived at UWEC since 1976. There are less than 500 shoebill storks left in the world. They live in the wetlands and have lost much of their habitat due to man’s expansion. Nicholas opened the enclosure and instructed us on the proper way to greet a shoebill stork to ask for approval – make a squealing noise and bow. As you can see from the video, Sushi appeared to like us – and the feeling was mutual. 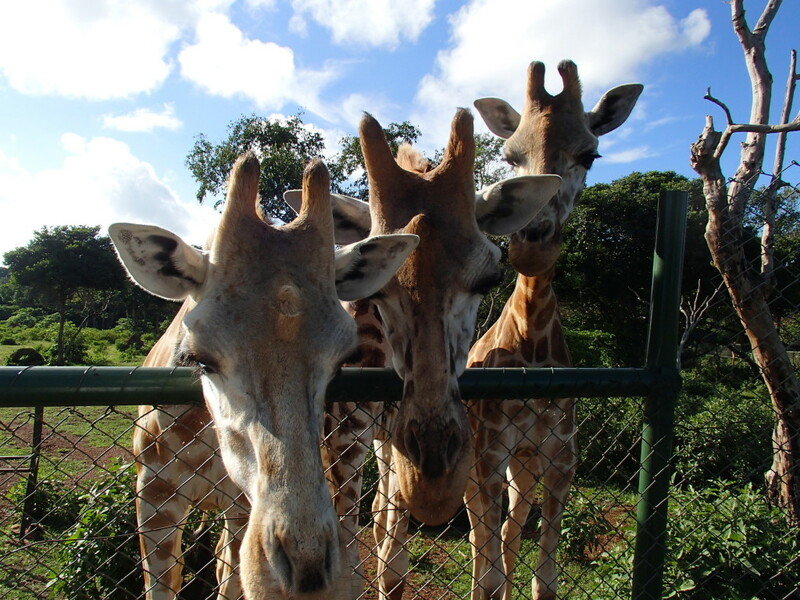 Three beautiful giraffe live at Uganda Wildlife Education Centre – two female and one male. The Center rescued the first female from drowning in the Nile River. Since giraffes are social, UWEC brought two others to live with her. We entered a viewing area adjacent to the enclosure and got to hand feed them some snacks. Very cool! 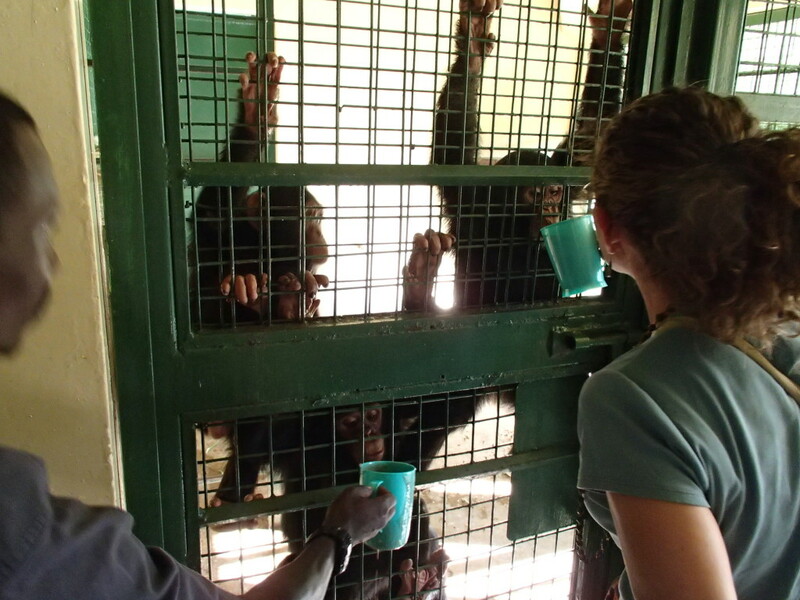 At the baby chimpanzee habitat we met Keeper Angela, who was preparing millet porridge for dinner. The chimps don’t like the porridge unless it is sweetened with sugar. We helped feed the little cuties. The Centre is preparing to introduce the babies to the adult chimps and hope that they will easily be accepted into the group. Did you know that chimps don’t like to swim? When we viewed the adult habitat, Nicholas threw a few bananas into the stream and the chimps used tree branches to fish them out rather than jump in. 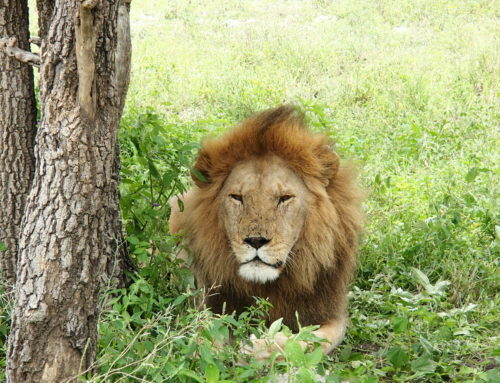 Next, we got as close as we have ever been, but not too close, to the lions, leopard, and hyena. We went into the locked area that borders the enclosure where Nicholas engaged the leopard and then adult lion with a large, nasty piece of meat. It was incredible to get so close to these magnificent beasts. We actually went into the enclosure with the two lion cubs – they make the silliest sounds. As we explored, we also saw monkeys, serval cat, cobra, viper, chameleon, adult and baby Nile crocodiles, and a python that UWEC rescued and treated after a man smashed his head with a rock. Since then, she has had several hatchlings and most were released to the wild. Near the restaurant, which overlooks the lake, there are a few friendly camels that you can pet or even ride. One of Uganda Wildlife Education Centre’s goals is to successfully breed the grey parrot and white rhino in captivity. For the grey parrot, the staff has tried several different ways to make nests to encourage breeding. The parrot has laid eggs twice but they didn’t hatch. 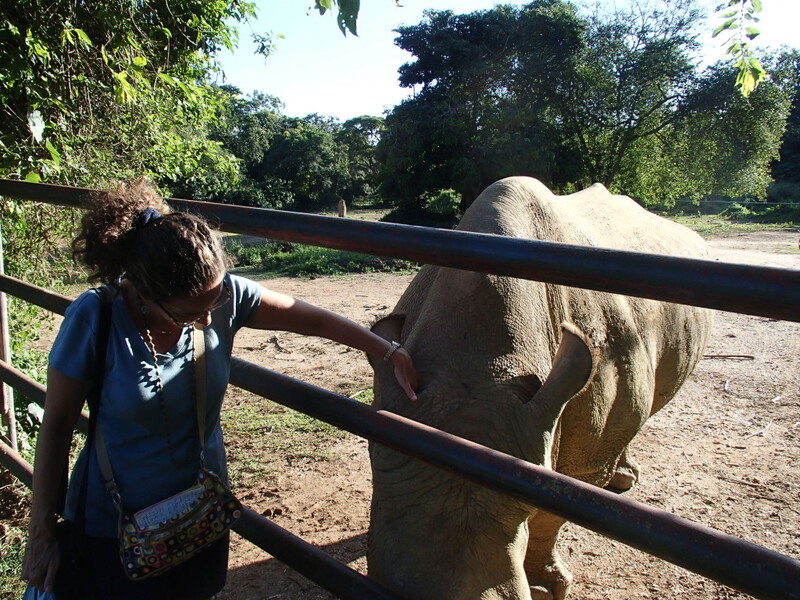 UWEC has not yet tried with the two resident white rhino, which are extinct in the wild. We got to meet one of the rhino, who likes having his ears scratched. Our fingers are crossed for a success! 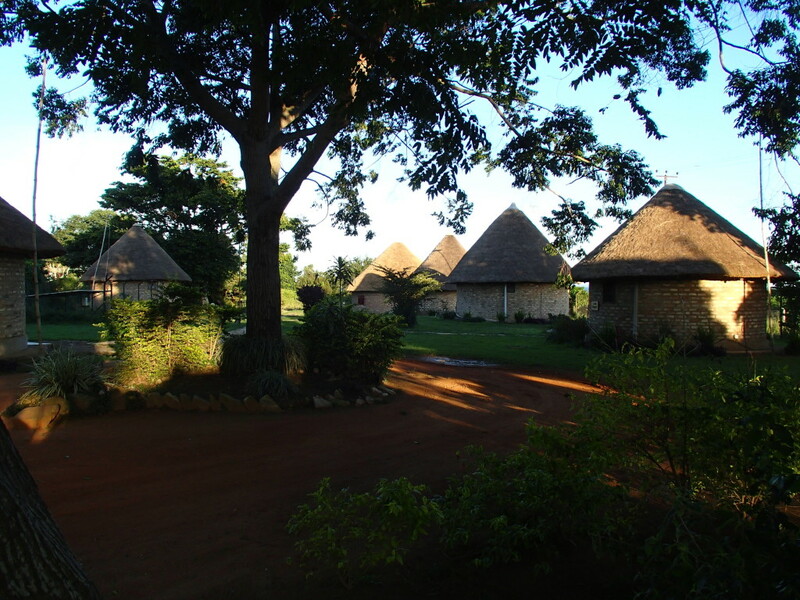 Visit the Uganda Wildlife Education Centre website to find out about day and overnight visits and Like them on Facebook to hear the latest news about the animals. We stayed in a banda. 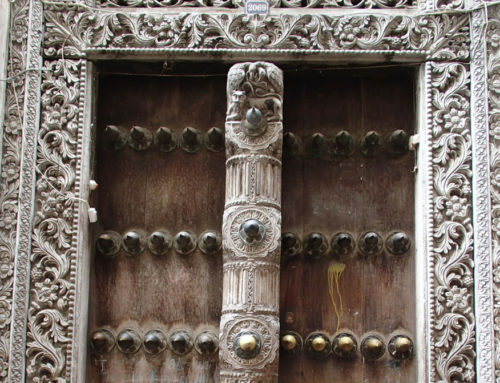 There are also other options like a flat, hostel, or campsite.